I do not want to repeat again the comments about the house, which we can fully confirm, but want to add the great support we received from the owners. We already got directions and other information needed in preparation for our trip. As we found us locked out when we arrived as the lock refused to let open, we called the owners in the middle of the night in the UK and got them calling the local service, which opened the door and changed the lock the next day. Needless to say that all other handling was perfect including return of our deposit. We had a great time and everything was wonderful and as described. 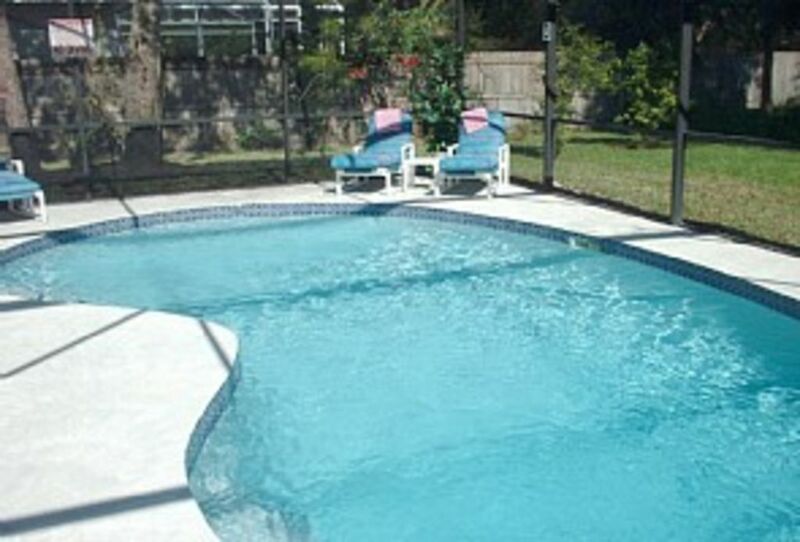 We would recommend this property and would love to stay there again when/if we return to the Orlando area. Thank you for taking the time to write a review and so pleased you enjoyed the home. Look forward to having you stay again. We had a wonderful stay. The neighborhood was quiet and the house is stocked with everything you need. The pool and hot tub were great. Lesley kept us well informed and responded quickly to our questions. We recommend this villa, especially those traveling with kids! So pleased your enjoyed your stay. We do try to provide a home from home experience to allow guests to relax after a hectic day at the parks or other activities. The bedrooms were spacious, there were plenty of linens and towels. The pool and hot tub were perfect after long days at the parks. Rates are for up to 8 and inc. of sales and tourist tax, all calls, wifi access. NB - THE QUOTED PRICE DOES NOT INCLUDE POOL HEATING OR USE OF THE HOT TUB. Pool heating is £85 per week and for use of hot tub add £70 (booked together just £120). Welcome pack £43. Airport meet and greet service is available for £65 (£90 after 11.00pm). Early check in (9:00am) and late check out (5:00pm) available for £49. Addition guests ( i.e. over 8) £50 per guest per week. Lets of 7 days or less cleaning fee of £60. Deposit against damage £200.